Geotextile fabrics are used to increase soil stability, provide erosion control, or aid in drainage in many commercial asphalt paving applications. 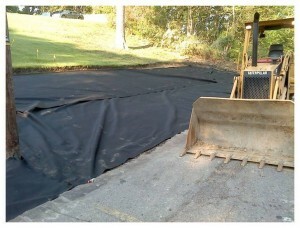 They are permeable fabrics placed between the asphalt subgrade and the aggregate to preserve the aggregate and reinforce the surrounding soil. Geotextile, or ground stabilization, fabrics are an affordable way to protect aggregate and longevity of the asphalt project. 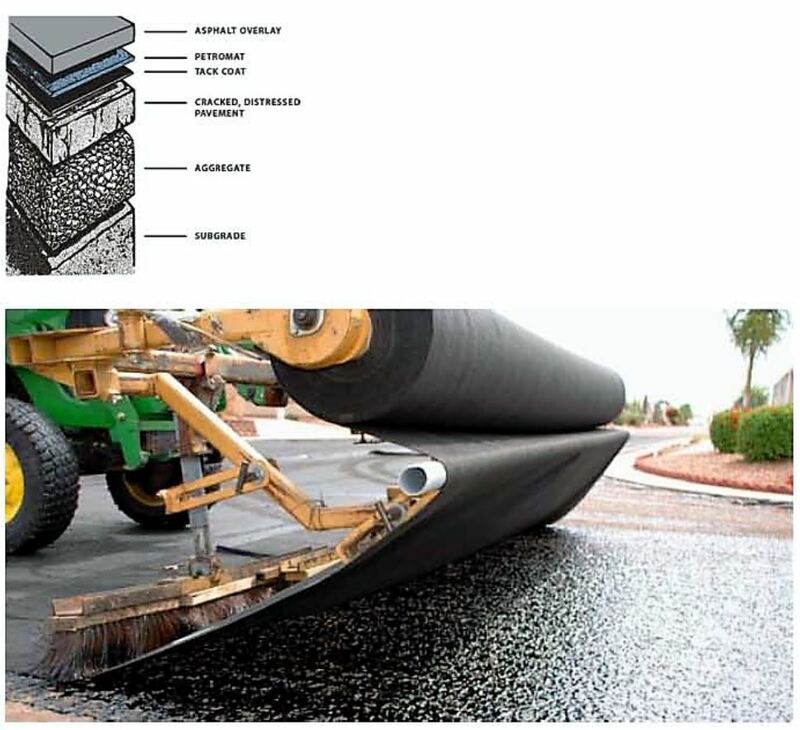 Woven geotextile is preferred for asphalt applications where high strength properties are needed and filtration requirements are less critical. These fabrics resemble felt and are commonly known as filter fabrics. A typical application would include aggregate drains, asphalt pavement overlays, and erosion control. Petrotac has similar qualities of Petromat except it is made to go directly on select expansion joints or worst cracks. This membrane comes in 12″, 24″, and 36″ wide rolls and has a backing that once removed, will stick to the cleaned surface prior to resurfacing.